The thousands of metabolic processes needed for life depend on enzymes. Enzymes are essential for digesting food, initiating cellular activity, and breaking down and removing toxins. Inadequate enzyme levels result in organ dysfunction, chronic illness, and disease. In today’s world, enzyme deficiency is becoming more commonplace. Fortunately, protecting against enzyme deficiency is simple. Here are 7 facts you need to know about these two essential front-line enzymes. Aptly named, digestive enzymes aid the digestive process. Naturally produced and released by the body along the upper gastrointestinal tract, digestive enzymes break down food so the body can absorb nutrients into the bloodstream. Specific enzymes break down specific foods: lipase for fat, protease for protein, amylase for carbs, lactase for sugar, and cellulose for fiber. Rather than working strictly in the digestive tract, systemic enzymes work throughout the body to support immune health, break down fibrin in the blood stream, remove toxins, reduce blood clots, and neutralize allergens. This allows cells to regenerate faster and gears other bodily processes toward quicker recovery time. Systemic enzymes are also called proteolytic enzymes. What Are the Best Natural Sources? 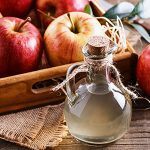 While the human body creates digestive and systemic enzymes like trypsin and chymotrypsin, the modern diet overloads the system with nondigestible foods, toxins, and harmful organisms. 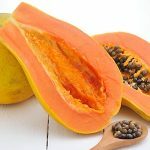 Two enzymes – papain and bromelain – occur naturally in papaya and pineapple and are two well-known digestive aids. Raw foods (organic, uncooked) naturally provide digestive and systemic enzymes which activate in the acidic environment of the stomach. The pancreas naturally creates enzymes; however, when dealing with increased toxin loads and processed foods, the body can easily get overwhelmed. While natural, raw foods supply enzymes, processed, refined, and over-cooked foods don’t. Cooked and processed foods are robbed of their enzymes during processing. Simply put, the modern diet does not provide enough enzymes to aid digestion and immune activity. What Are the Symptoms of Poor Enzyme Levels? Inadequate digestive enzyme levels lead to food rotting in the intestines. 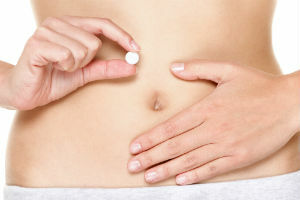 This can create bloating, indigestion, gas, and abdominal discomfort. A lack of systemic enzymes also allows wastes to buildup throughout the bloodstream and lymph system, stressing the immune system’s ability to keep up. How Do They Reduce Inflammation? Many people use systemic enzymes rather than NSAIDs (non-steroidal anti-inflammatory drugs) to treat pain and inflammation. These enzymes actually target harmful circulating immune complexes (called CICs) while leaving the good immune cells active. 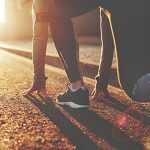 Are There Additional Benefits to Enzyme Supplementation? Another study found proteolytic enzymes supported immune health following radiation and chemotherapy. Some studies even suggest the enzymes remove unwanted cells, slowing tumor growth. Other health benefits include eliminating bacteria, viruses and fungi, dissolving scar tissue, cleansing the blood, improving circulation, reducing pain and bruising, supporting heart health, and lowering blood pressure. Digestive enzymes support digestion and natural bowel flora, increasing nutrient availability from foods. These also reduce the chances of food irritants entering the bloodstream. These days, the human body is having a challenging time keeping up with the toxic, processed-food overload. 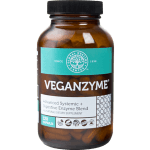 The simplest approach for many common conditions is to supplement with a systemic and digestive enzyme blend. This will encourage digestion and promote cardiovascular, immune, and metabolic health. When the body’s core systems work well, aging slows too, offering yet another incredible benefit. Tried digestive and systemic enzymes? Share your story with us! Leipner J1, Iten F, Saller R. Therapy with proteolytic enzymes in rheumatic disorders. BioDrugs. 2001;15(12):779-89. Leipner J1, Saller R. Systemic enzyme therapy in oncology: effect and mode of action. Drugs. 2000 Apr;59(4):769-80.